Just a single layer of our Thermoflex fleece on the back of the hand brings extra comfort to a wide range of conditions. 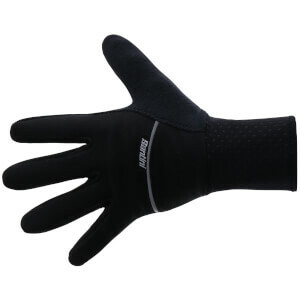 You’ll reach for the Lightness on those mild days when you could get by without gloves, and they will keep you warm enough in cooler conditions when you think you need more significant protection. And best of all, they’re small enough to pack along just in case. Great glove for me but it's little bit difficult when I take off the glove after riding. 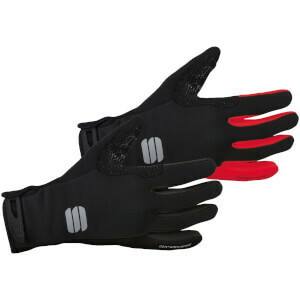 Purchased to fill the gaps between days using mitts and heavier full finger waterproof gloves. Typical Castelli style, impressed. Hi I bought these as a glove for when its cold but not freezing and I love them. Great fit, and I use for the 7-15 degrees days. I would definitely recommend to anyone. Usual high quality from Castelli. Overall a very nice glove. Super slick styling and a nice snug fit. A word of caution - If you regularly ride in temperatures below 10 deg. Celsius you would be better off with a bulkier, lined glove. I would suggest getting these if you are after a full fingered race glove for mild conditions where you want as much feel as you can on the levers. Overall a really nice product, provided you know the limitations. This glove does not 'keep the frosty winter chill out ' as its write up suggests , a good glove, but only for cool mornings.